Windy M. Holifield-Miller was born to Carlene McKenzie and the late Aubrey Washington on January 12, 1970 in Brooklyn, NY. In addition, the late Edward Holifield was also her father figure who helped raised her. Windy was a very strong caring woman who took after her mother and learned to provide for her family by any means necessary. Furthermore, she loved to have a good time anywhere family and friends were. She was there as the life of the party; along with her long time best-friend/sister of three decades, Aretha Mason (Reese). She attended Thomas Jefferson High School in Brooklyn, NY. While there, she met people whom she remained friends with until she was called home. Windy had a vast sense of humor. She loved to make others laugh. Her chuckle was one of a kind; especially, when she laughed hard and tears fell from her eyes. She indulged in music of all genres, however, it was something about reggae that without a doubt compelled her to dance. There were countless hobbies she was fond of such as: designing, decorating, trying different recipes, and styling the hair of relatives and close friends. Windy was outspoken, entertaining, protective, strong and nurturing. 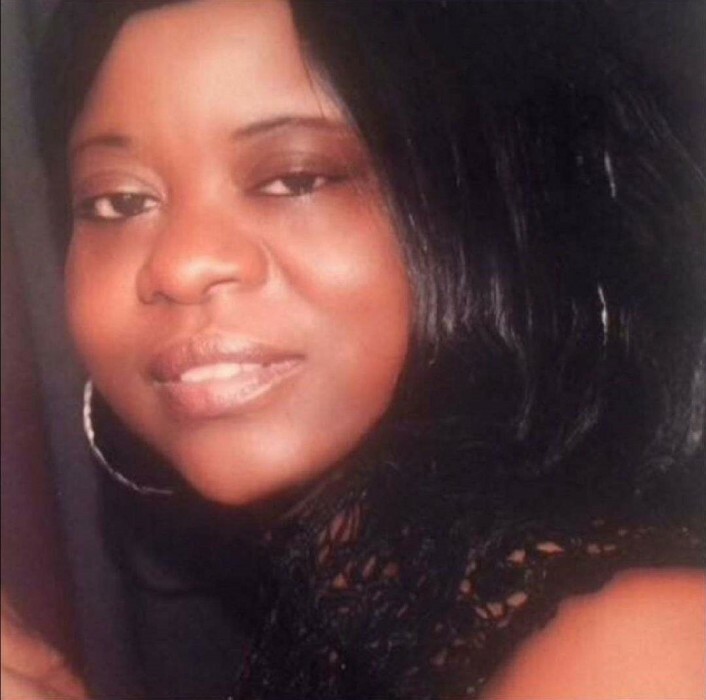 Her charisma did not just motivate her to become a benevolent mother to her three children whom she loved dearly: Martisha Leacock McLean, Mark LaBrew Jr. and Nyeama Miller, but also a wife to, Mark Labrew Sr. and Vincent Miller, who fathered her three children. Once she became a grandmother, everything was about her grandchildren. She preferred to be called, “Umi” because “grandma” made her seem older than what she was and she looked good for her age. If you wanted to do something with her, appointments had to made in advance or else she’ll tell you “I have my grandbabies.” No one came before her dear grandbabies. No one would want to say or do anything to her grandchildren, Windy wasn’t having it. Their own mother couldn’t dare say a word to her. They were her jewels. She enjoyed spending time with her grandchildren and would go out her way to do things for them, ensuring that everything went well. It couldn’t just be cake and ice cream for their birthday. It became a party with balloons, decorations, food, gifts, guests, music and much laughter; making each event a memorable one. Windy worked as a Personal Care Assistant and in the latter part of her life she was promoted to a Site Supervisor in the security field. Unfortunately, in the year of 2012 she resigned from work, because she was diagnosed with breast cancer. However, by the mercy and grace of God she conquered that battle and was cancer free for several years. During that year, she decided to start going back to church and became a member of the Brooklyn Tabernacle in Brooklyn, NY. On January 17, 2018 at the young and blessed age of 48, God decided to peacefully call her home. Windy’s unexpected departure startled and saddens many. She goes on to join her father Aubrey Washington, father-like figure Edward Holifield, grandparents, brothers Duane and Darryl and sister Darlene. She leaves to cherish her memory, her mother Carlene McKenzie (Brooklyn, NY), husband, Vincent Miller (Queens, NY), Brothers Warren Flowers (Brooklyn, NY), Frederick Flowers (Brooklyn, NY), and Marvin Flowers (Brooklyn, NY); Sisters Lisa Flowers (Brooklyn, NY) and Rachel Flowers (Brooklyn, NY), (amongst a host of other brothers and sisters paternally) Sister-in-laws Monique Frazier, Roberta Flowers, Lisa McCorkle, and Kim Sykes of Brooklyn, NY, her children Martisha Leacock McLean and Son-in-Law Aniell Leacock McLean, Mark LaBrew and Nyeama Miller, her Grandchildren Nadia Leacock McLean, Naariya Leacock McLean and Aviell Leacock McLean, her niece/daughter Princess Flowers; a host of aunts, uncles, nieces, nephews, great nieces and nephews, cousins, friends and associates.